David LaHuta is the author of Frommer’s Bermuda 2019, a comprehensive guide to one of the world’s most storied vacation destinations from the most trusted name in travel. In it, David guides readers to unique pink sand beaches, secluded turquoise coves, and spellbinding caves; through the cobbled streets of historic St. George’s (a UNESCO world heritage site); through the fortifications of the Royal Naval Dockyard; and to restaurants, shops and hotspots known only to locals in the City of Hamilton and beyond. With easy-to-tackle one-, two- and three-day itineraries—plus others for romantics and families—the book also features the island’s most up-to-date restaurant and nightlife listings, plus an extensive section on Bermuda’s newest hotels and resorts. 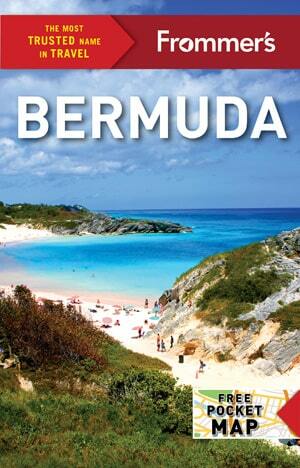 Got any questions about Bermuda? Ask David yourself! He can be contacted via this website or can easily be found on Instagram and Twitter. Buy the book here or read the online version on Frommers.com.